इन्वेंतुरे एक पेशेवर प्रबंधन बहुआयामी वित्तीय सेवा प्रदाता है, ग्राहकों की विभिन्न वित्तीय जरूरतों को पूरा करने की पेशकश व्यापक सेवाओं की एक मेजबान अच्छी तरह से एक ही छत के नीचे विविध रही है। इसकी विशेषता कोष जुटाने, बुनियादी सुविधाओं के विकास, सरकारी उधारी, कंपनी के पुनर्गठन और पैसा बाजार में मध्यस्थता के क्षेत्र में सलाहकार और इन्नोवातिवेली संरचित वित्तीय समाधान प्रदान कर रहा है. 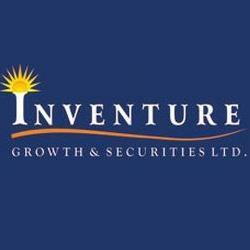 Inventure Growth and Securities (Inventure) may approve investment of Rs 6 crore in subsidiary company - Inventure Merchant Bankers Services by subscribing to equity shares by way of Right Issue. The board will meet on September 29, 2011 to consider, discuss and transact the business. Inventure is a professionally managed multi-faceted financial services provider, offering a host of comprehensive services that are well diversified under one roof, to cater to the varied financial needs of the customer. Its specialty is providing advisory and innovatively structured financial solutions in the area of fund raising, infrastructure development, government borrowing, corporate restructuring and money market intermediation.